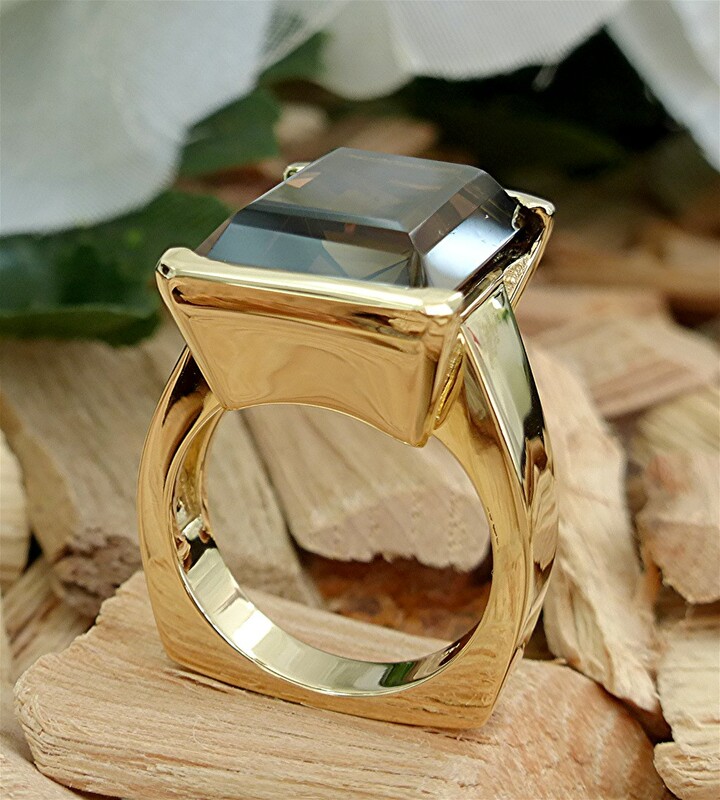 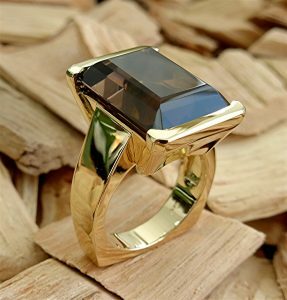 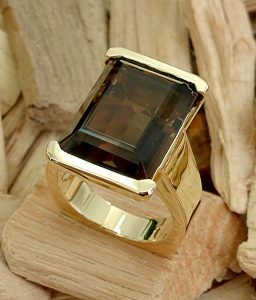 Center stone is 18×13 millimeters smoky Quartz, half channel set in 14k yellow gold mounting with square European shank. 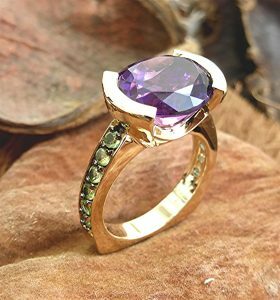 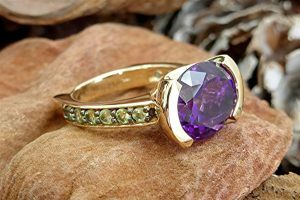 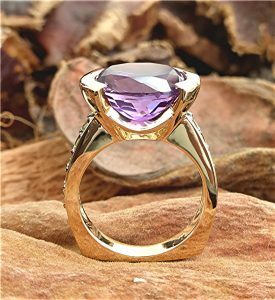 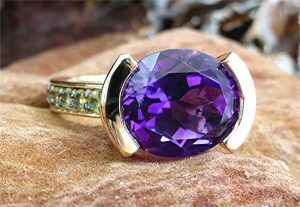 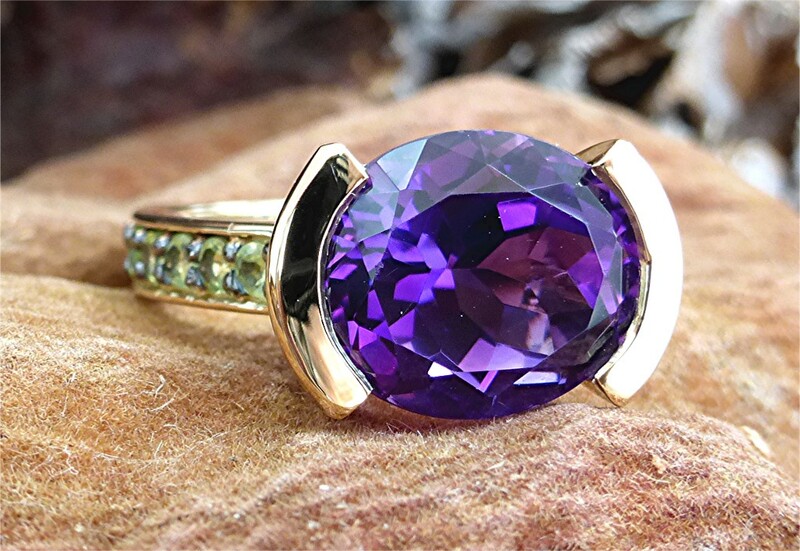 Center stone is 13×11 mm oval amethyst set into 14k yellow gold mounting. 12 round, 1.8-millimeter peridots are prong set on the shoulders of square European shank. 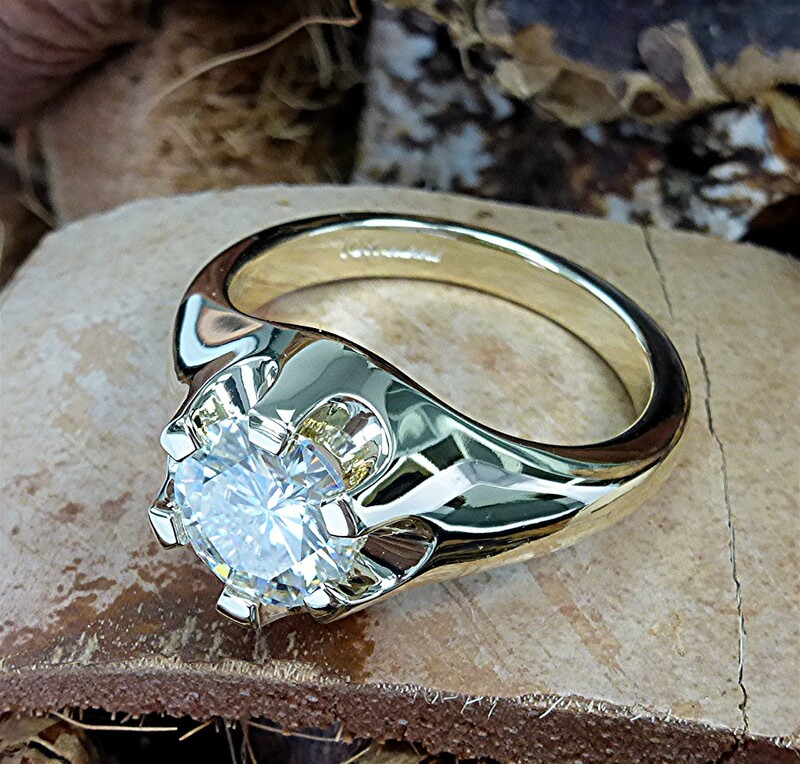 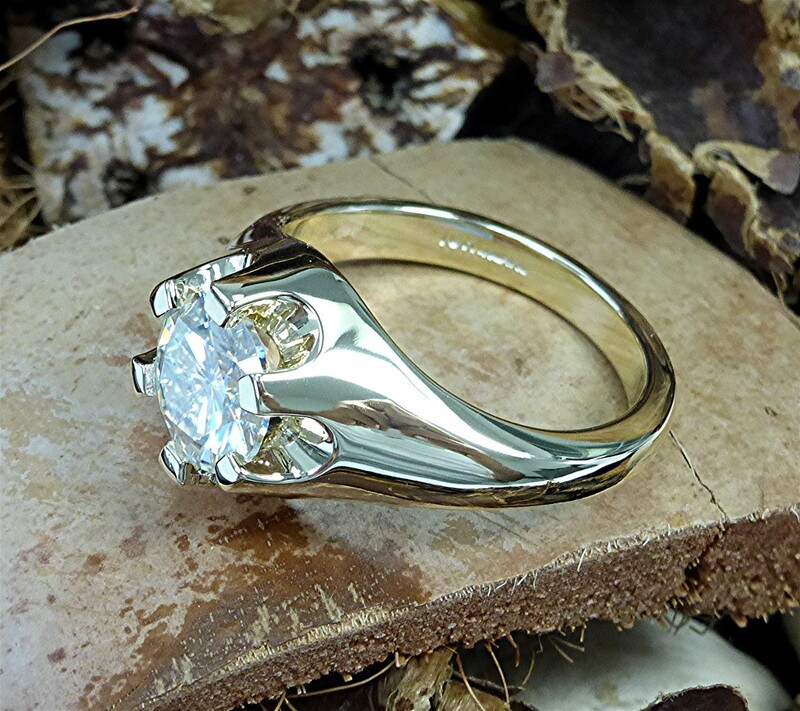 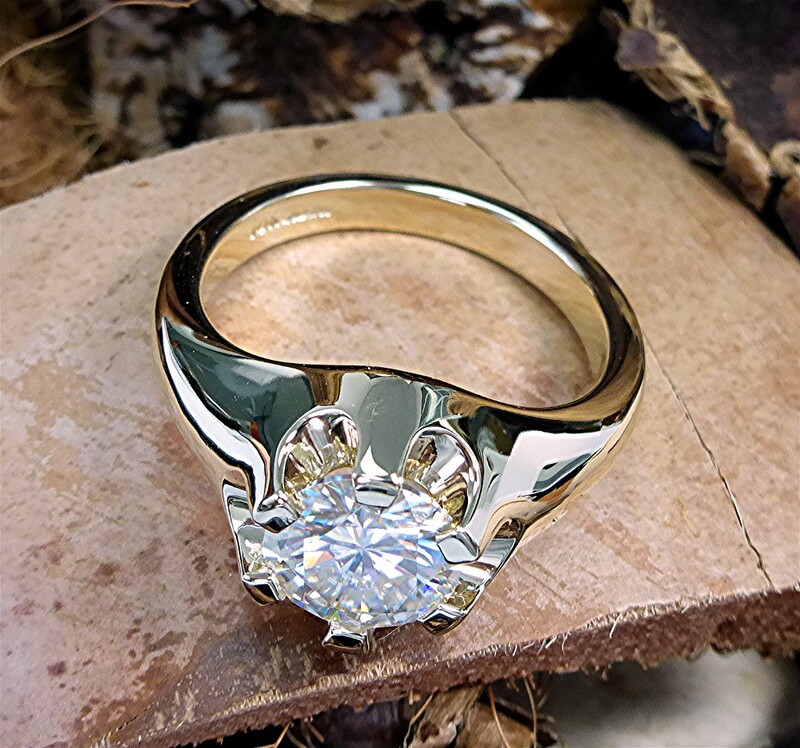 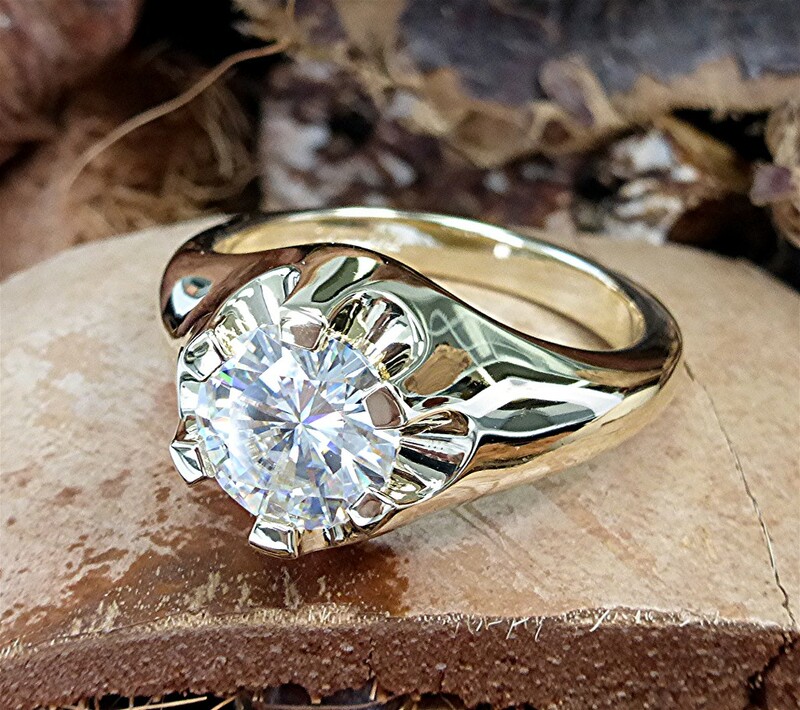 Center stone is 9.5mm moissanite stone mounted in 10k yellow gold, size 12. 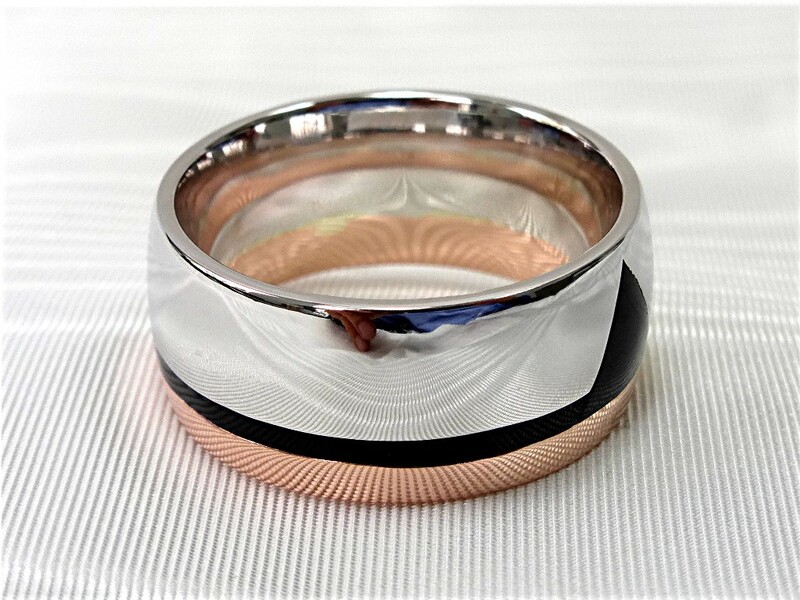 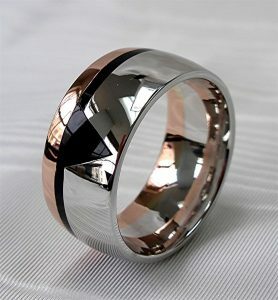 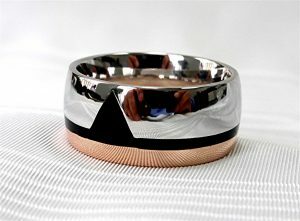 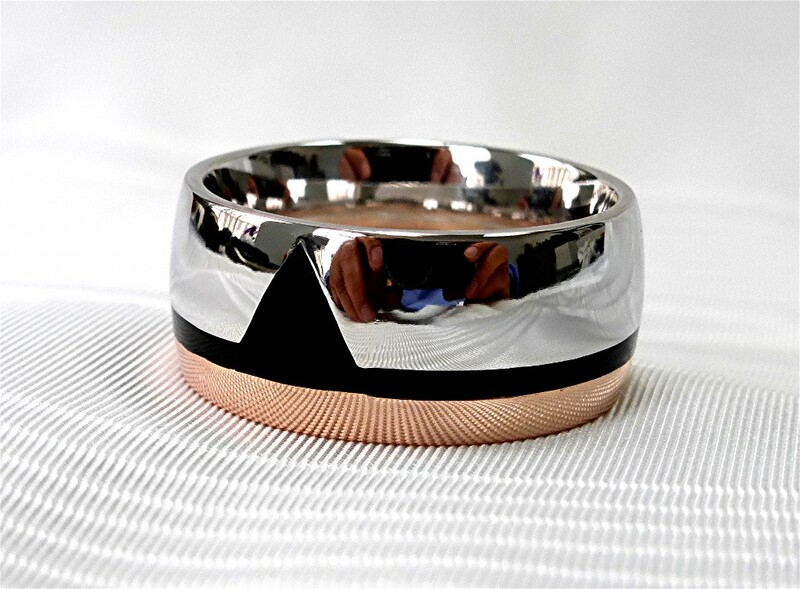 Two tone, 14k rose and white gold Comfort-fit ring separated with a line of black enamel and inlay triangle onyx on top, 11mm wide, size 12. 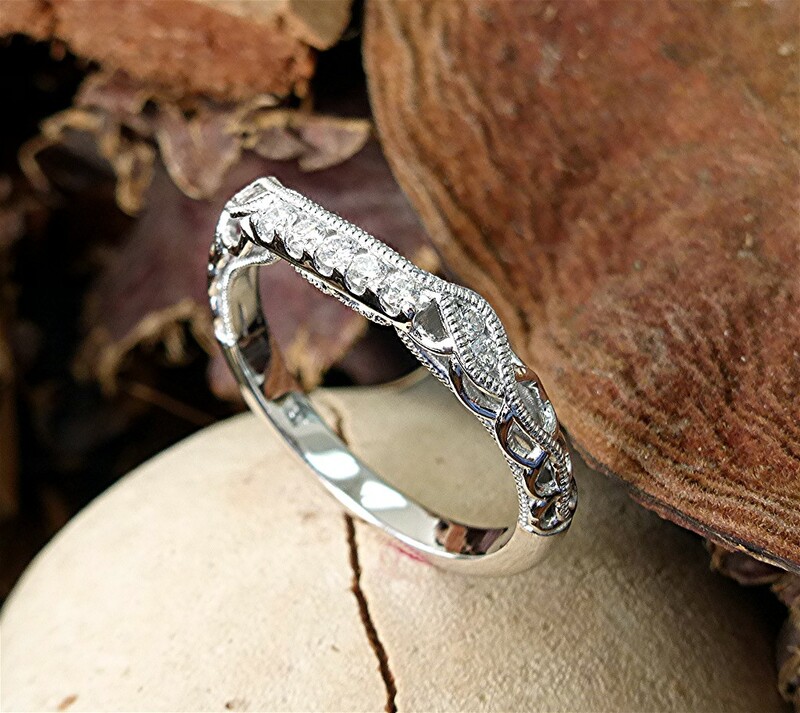 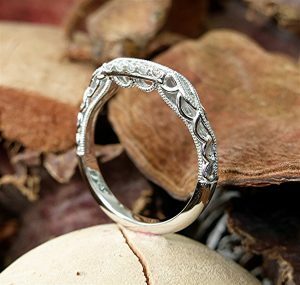 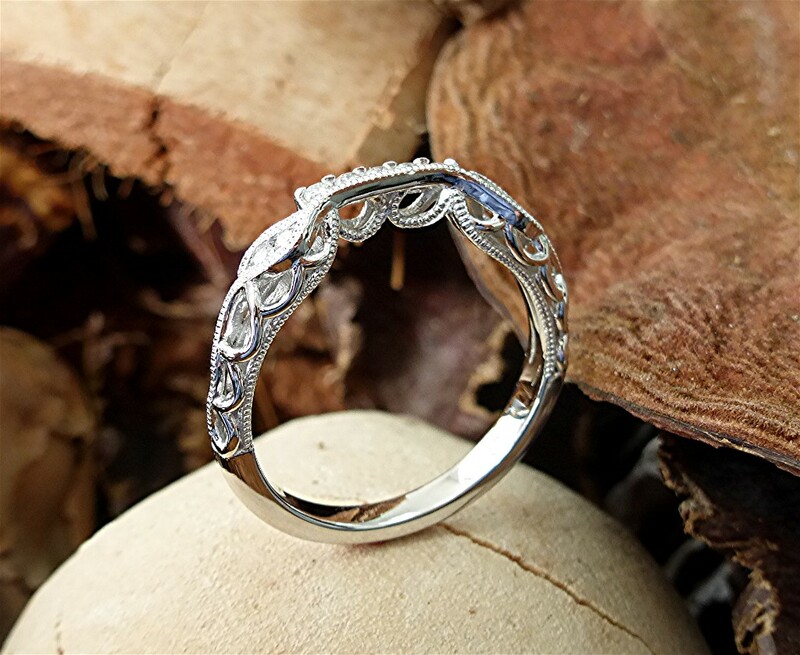 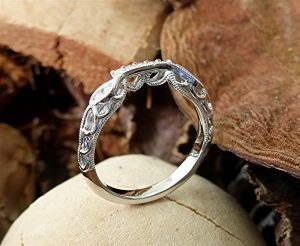 14k white gold matching band with four 1.5mm channel set and five wall-prong set 1.6mm diamonds totaling 0.14carat.